This year's oration was delivered by Tim Costello AO, one of Australia's leading voices on social justice and humanitarian issues. Sydney: UNSW Sydney, one of Australia’s world-class universities, joined the Indian community and business leaders to commemorate Indias Martyrs Day – the anniversary of Mahatma Gandhi’s assassination on January 30, 1948 – at the annual Gandhi Remembrance Ceremony and Gandhi Oration. 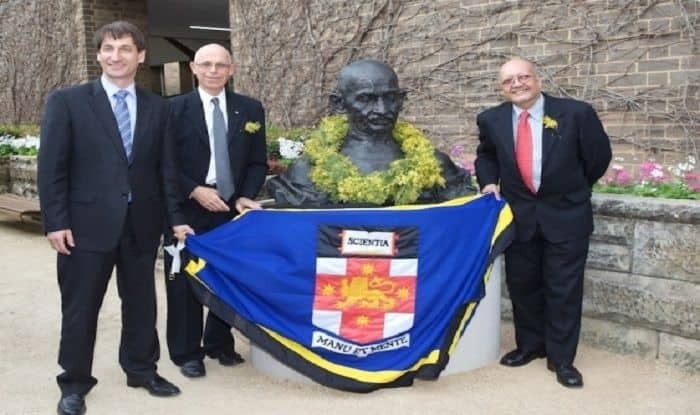 During the commemoration earlier this week, UNSW President and Vice-Chancellor Professor Ian Jacobs articulated the University’s role in continuing Gandhi’s vision for dismantling injustice and championing human rights for all by bridging geographic and cultural divides through collaboration and student exchange. The University has identified India as a key strategic partner in its 2025 Strategy. Since its inception, the Oration has been delivered by Patrick Dodson in 2012, Justice Michael Kirby 2013, Dr Tom Keneally 2014, Ela Gandhi 2015, Peter Greste 2016, Dr Hugh Mackay AO 2017 and Indian journalist Shoma Chaudhury in 2018. To commemorate the 150th anniversary of Gandhi’s birth on October 2, 2019, UNSW is releasing a book featuring a compilation of each Gandhi Oration since 2012.